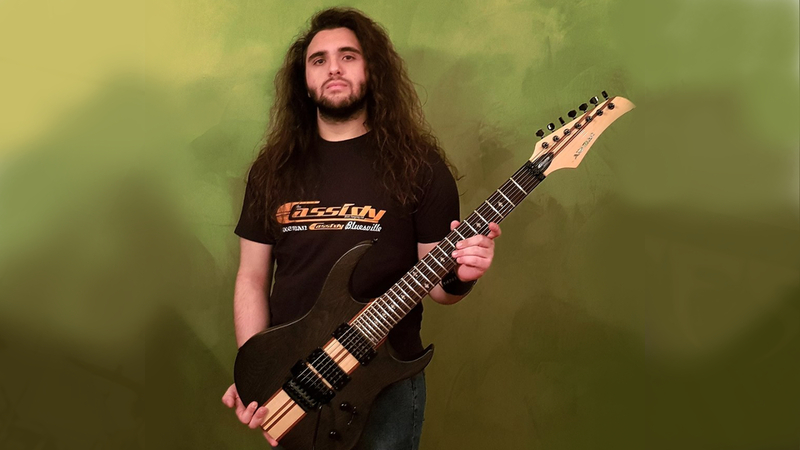 Alessandro Dionisio is the guitarist from the Italian Folk/Death Metal band KormaK, based in Bari, Italy. The band was formed in 2017 and released their debut album “Faerenus” in 2018 with a worldwide distribution contract by Rockshot Records (a Sony Music Distribution partner). “Faeranus” is avalaible on Digital Platforms Worldwide including Spotify, Bandcamp and with a preview in this Official Video Clip. Kormak have big plans for 2019 including the recording of their second Album and a European Tour. We’ll keep you up to date on latest developments here on Alessandro’s Artist page, in the meantime enjoy this new track from Kormak’s upcoming EP sung in a Southern Italian dialect – enjoy! Alessandro plays a very limited Production Edition Cassidy Axeman Series AX501 7 String / Through neck beast of a guitar – watch this space!